Yesterday, one of my editors at Babble (or The Babs, as I call it) emailed out a link to an article entitled, “Moderate Drinking While Pregnant May Not Be Harmful.” The gist is that a new study shows moderate drinking (defined as up to eight drinks per week) during the early months of pregnancy is safe. I’m going to go out on a limb and assume none of you reading today are new here, so you know that my pregnancies are not super-fun party times. I know how badly things can go when you do everything right, so I just don’t see the point in taking an unnecessary risk. I understand how delicious alcohol can be. During all of my pregnancies, I craved Guinness so badly I literally cried about it. That’s…kind of embarrassing to admit, actually. But really, nothing had ever sounded so delicious and perfect in my entire life, and there might have been times when I was convinced that if I didn’t have a Guinness I might actually die. But I “risked death” and didn’t have a Guinness or any other alcoholic beverage, because, as I said above: having a drink was actually not THAT important to me. I had plenty of meals that would have been perfectly complimented with wine, attended lots of celebrations that called for a toast with champagne, and sat on the edge of many pools that practically begged for a frozen daiquiri, but I didn’t have any of them. Why? Because I knew I was the one responsible for my unborn child’s well-being. One drink might have satisfied my craving, but what if that one drink had been the tipping point for my baby? I’m 33 years old next week, so I’ve been drinking for…let’s say 12 years. I’ve had lots of alcohol over those twelve years, but the crazy thing is that I could have four drinks one night and four drinks another night, and have a completely different reaction. Hell, there are nights when ONE drink gives me a hangover. What if my baby was very sensitive? Fetal Alcohol Syndrome isn’t a temporary condition – it impacts every aspect of a child’s life, for the entirety of that child’s life. I just haven’t ever been able to justify my temporary pleasure against the risk of my child’s permanent disabilities. But, like anything, it’s personal, right? It isn’t worth the risk to me, but maybe it is for others. Life is full of risks, and we all have to evaluate them against our own conscience. What are we willing to live with? Is this glass of expensive red wine worth risking a possible hangover? Hell yes, says my non-pregnant brain. But would it be worth it if I was fifteen weeks pregnant? Considering I still beat myself up over Maddie’s premature birth which I didn’t do anything to cause…no. For me, it is not worth the risk. I saw that story on the news earlier. I just can’t understand why someone would take the risk, regardless of their health status. You make a great point about not knowing what really is or isn’t safe. And I wouldn’t want to mess with FAS. I just can’t fathom a situation that would make it worthwhile. I’ve never been pregnant but I suspect I’ll take the same view as you – that the risk isn’t worth it. I do think a drink here and there is probably fine – but I’m like you in that if anything did go wrong I’d blame it on that drink and that makes it not worth it. Funny that you craved Guinness so badly – when my mother in law was pregnant it was recommended to have a bottle/pint a day! She did and her son (my partner) was the longest baby ever born in the hospital he was born in. I saw the story as well and I watched as the news reporter was almost cringing as he read the report. He kind of had this look like please please don’t try this at home. I certainly wouldn’t take the risk. I actually don’t drink much, I find that I have a similar difficult-to-predict reaction and so unless I’m actually at home in my own house socialising or somewhere very close to where I intend to sleep for the night, I won’t even risk it because I have no idea if one drink is going to send me to sleep/make me incredibly tipsy/have no effect at all. If I have to travel at all, I don’t drink even though “studies have shown” that I can have a few drinks over a certain period and still be “safe” to drive. Given that I won’t take the risk with my OWN health and night’s enjoyment, it seems a no-brainer to me that I wouldn’t risk a child who isn’t being given a choice. Creating life is a privilege. I’d like to think I’d respect that and be the best damn incubator I could be! I’m the Special Needs Manager at my school. I have taught children with FAS, and I arrange services for children with FAS. Not worth the risk. Would you do something that increases your chance of a child with a different disability? 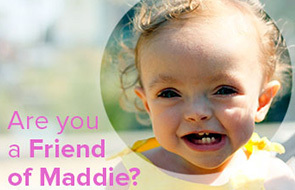 Would you do something that increases your risk of having a child with Downs Syndrome or Spina Biffada? Of course not. I’m currently 25 weeks pregnant with my second child & have been to a few happy hours for work where I sit casually sipping my sprite or ginger ale while someone who doesn’t have a child and has never been pregnant tells me that they read somewhere it is safe for women to drink while pregnant. And they go on about how they “applaud” pregnant women who drink if that is what they want to do. And sometimes even say that if I want to drink, I should. Which, wow, of course I would love a glass of wine. But, I also question how they would feel if it was actually their child that could be affected. Like you, I couldn’t do it. I couldn’t live with wondering if this one silly little choice I made because I wanted to satisfy my own cravings, would affect this innocent child forever. I completely agree, Heather. I was shocked when I read that release the other day. I love a great bottle (um glass, yes, that is what I meant) of wine, but completely abstained during my two pregnancies. It just isn’t worth the risk. And how many times have studies been reversed years after their initial publication. Giving the best start in life to your babies is too important. Please, no one should drink (or smoke, etc) while pregnant. Wow. My husband and I have been trying to get pregnant for 22 months and that entire time, we haven’t drank because it can affect your fertility. I say “we” because it is a commitment we made together. My husband is only 29 and a lot of his friends still party like rockstars.. and I know this is more of a sacrifice for him than me… but I also know our desire to have a child is all consuming. Why… would you take that risk?? Maybe it’s because we can’t just open our legs and have a perfect 10 months thereafter that we just don’t get this? I could not agree more. I also saw this on the news last night, and when I glanced up at the screen, there was a picture of you on more Spohr! (It was actually a video if we are splitting hairs)… it was a national news station too! So proud of you! I think a lot about this, not because I don’t believe that drinking while pregnant can harm the baby (fetal alcohol syndrome is kind of the proof in the pudding, right there) but because of how differently different organizations and countries define what is harmful for a baby. For example, a friend of mine is pregnant and was having a really hard time because she’s pretty caffeine-dependent and couldn’t get through the day without a couple naps. She’d been told Absolutely No Coffee by her doctor when he went over the list of prohibitions . . . even though almost everyone who replied to her cry for caffeine-related help said that that they’d been told a cup or two of coffee a day would be okay. My friend in Norway who just gave birth was told by her doctor she could have up to four cups of coffee without any concern. Another friend just had her second child in a different city than she had her first. When she found a doctor in the second city and was given the list of prohibitions–what OTC medications she could take, what beverages she could drink, et cetera–it was a significantly shorter list. She compared the two and discovered that they were almost entirely different. She’d gone her whole first pregnancy without a single soda, and now on the new list, she apparently could drink as much soda as she wanted. Plus, think about 20, 30, or 50 years ago. My mom not only smoked while she was pregnant with me, she also went motorcycle riding with my father and didn’t cut her coffee intake. Now adays, people want to burn pregnant smokers at the stake (and with good reason! ), but in the early 80s, the dangers weren’t as well known. And my mom was a pack-a-day smoker in those days. I am not saying that I think pregnant women should be maxing out their eight glasses a week. I think that it’s probably carte blanche to have a small glass of wine at Easter dinner or something. But I think we learn a lot more about medicine–including pregnancy–over time, and a lot of people still disagree on what is best for baby, and so crossing ourselves and hissing might not be the right answer either. I don’t know, it’s really interesting to me how the prohibitions change. The actual studies often involve women under a certain age, and who do not otherwise have any family history of certain things. I stand with Heather: every woman is different, every pregnancy is different, every unborn child is different. For one woman a glass of wine with Easter dinner might not cause anything. For another, it might be the difference between a healthy child and a child with FAS. There’s just no way for that woman to know beforehand, so why play with the odds? Also, it’s easier to say no to alcohol in a situation than to say “I’ll only have one drink and nurse it”. You’d be surprised how quickly one drink becomes two or three in a tempting social setting. Actually, it is entirely possible to have one drink and nurse it. I’ve been drinking for almost 20 years now and I can count on one hand when I’ve had more than three drinks a week, or three drinks a night. And I live in the UK, where drinking and socialising often go hand in hand. I agree that if someone isn’t able to reliably control their drinking then they should stick to abstinence, particularly in pregnancy. BUT that is not the case for everyone. Moderate drinking, minor drinking, controlled drinking – these are also valid things. One of my close friends had a beer or glass of wine every night after her first trimester for both pregnancies. Both babies came out fine, but that hasn’t convinced me that I would do the same. Besides, whats the point if you can just have one? FAS is completely preventable. Completely. WHY would someone do anything to up their risk of impairing their child? Its so selfish! I work in foster care/adoption, and have to coordinate services for many children with FAS. It manifests itself in so many different ways and behaviors…and these kids are made to suffer for things their mothers did before they were even born. I work in foster care/adoption as well, and have worked with children with FAS as well. But let me also say that there was a lot of judgement in your post (and a lot of these posts really). I have two children, one of which I struggled to conceive. During both of those pregnancies I had a couple of drinks throughout the 39 weeks of my pregnancies. Never more than one at a time, and not all that often, but I researched the use of alcohol during pregnancy and felt comfortable with the choice I was making. My doctor (now a high risk OB and a professor at NYU school of medicine) supported that. Pregnant women in Europe have generally had the support of their doctors in regard to moderate use of alcohol during pregnant. Europea does not, to my knowledge, have a significantly higher number of children with FAS. Pregnancy has lots of risks; some minor, some major. It’s up to each woman to determine what risks she’s comfortable with and which ones she isn’t. There are some risks I am not willing to take that I am sure others here would be comfortable with. As long as we are not talking about chemical dependency, let’s let each women decide without the judgement. Thanks, Jennifer, for acknowledging that we’re all able to make our own choices–and that there’s no cause for judgement just because you happen to see a pregnant woman sipping a drink. I think your reaction, particularly given your history, is totally valid. I certainly understand why anyone would feel that even a single sip during pregnancy is too much of a risk. For myself personally— it sounds like these studies are not showing that it “may” be safe— they are showing it is safe. FAS, from my understanding, is caused be binge drinking while pregnant. Now, that’s not to say that when I get pregnant I plan to tally up my 8 drinks per week. I don’t think that’s really healthy for you anyways ideally and I want to be as healthy as possible when going through a pregnancy. But assuming the science and my doctor at that time say it is okay, I might have a single glass of champagne at a wedding, or a single glass of wine at christmas dinner. Yeah, I don’t understand the risk. I’m a coffee lover to the nth degree, but I stopped drinking coffee while I was pregnant. I didn’t drink soda, and I didn’t drink alcohol. I was so excited to be pregnant, I decided to treat my body better than I ever had before. As a result, I really felt my body was working with me rather than against me for the first time in my life. (I’ve been overweight most of my life, and I have had horrible headaches for most of my life.) It just wasn’t worth doing anything that could harm my baby–nine months is not too long to go without those things. Disclaimer: A a picnic I was craving a beer, so I had a little sip of a friend’s beer. I realized that missing beer was not that big of a deal. I just wanted to do everything to help my baby, just as now I want to do everything I can to help my child. So why risk it? Well said Heather I 100% agree with you! As a former pediatric special needs nurse I can tell you FAS is heart breaking and it is also 100% preventable…..a baby is a precious gift that so many women cannot achieve on their own so WHY take a chance!?!?! I had really rough pregnancies with all 3 of my kids and was grateful that I ended up with healthy babies even though 2 of them were born 5 weeks early. The NICU is a tough place for a parent to have to be. I would never have considered drinking alcohol as it was I felt bad enough whenever I drank any caffeine. FAS requires that the mother binge drink. I have to admit, I agree with you with my whole heart but then again, I do have a personal experience to draw from. I don’t think you know this Heather & Mike but along with my 3 children, we also had a foster child. He was amazing in all aspects and he has Fetal Alcohol Syndrome. As I watched that child of my heart struggle to learn, struggle to keep his emotional problems at bay and it absolutely BROKE MY HEART when I thought, if only his mom hadn’t put that poision into her body, my child of the heart wouldn’t have it in his little body either. I don’t know about the study you are refering to but I can tell you 100% because my foster child’s mom chose to drink, he was born premature, small to date and struggled from the very start of his life and will continue to do so. Do I blame his mom or am I’m anger with her? My answer will probably surprise you…. NO – I am not because I know alcoholism is a terrible disease and it’s not one that is easy to overcome. HOWEVER, do I wish things were different for my little man? Do I wish she never let the alcohol touch her lips? 100% ABSOLUTELY!!!!! I’m a strong believer in “too each their own” when it comes to many issues but this is NOT one of them. If any mommy is considering to continue to drink, I encourage you to spend even just a few hours with a child who has been affected by this disease. If they did, I am sure they would put that glass down and never look back. In the whole scheme of things, 9 months is really NOT a long time to go without a drink…especially when you compare it to a life time of problems if you do. I saw that on the news last night. I can’t believe they published that for the world to see. As if there aren’t enough stupid people having babies and not taking care of them, now they will be drinking and saying it’s ok…. I got pregnant on June 2, 2009. Obviously, I didn’t know at the time… I had a drink on June 4. When I found out I was pregnant, on June 18 I freaked out… and as soon as I saw my dr. I asked her if the baby was ok… After she laughed @ me for being a first time mom she told me he would be fine. I understand the craving but people shouldnt be so selfish. FAS is preventable, if the person is not selfish…. I could go on forever… I have a neice who is 20 and still has problems b/c my sister drank beer during her entire pregnancy. It didn’t matter what we said she did it anyway. It still pisses me off. Life is full of risks. Everyone has to decide their comfort level. I believe a few drinks during pregnancy is safe for everyone. For me, if anything went wrong (which it did), I didn’t want to have anything that I would regret and I would have regretted alcohol, even though I think it is safe. That being said, I took prescription medication throughout my pregnancy (severe GERD even when not pregnant) because I would not have gained enough weight otherwise. Risky, perhaps, but the right decision for me. For what it’s worth, the point of the studies is to indicate whether it *is* actually a risk to have a drink or a few while pregnant. I had no more than 1 glass of wine per week in the 2nd and 3rd trimesters of my pregnancy with my son. He was perfectly healthy. There has *never* been any evidence that slight (or even moderate) drinking has ever caused harm in pregnancy. There has been evidence that alcoholics who drink to blackout conditions, who binge drink every week, etc, has caused harm. I don’t ride amusement park rides while pregnant. The rapid accelerations/decelerations/torques and turns are potentially too much for a pregnant body or healthy placenta to sustain. I don’t, however, avoid riding in cars that experience the exact same types of forces in much lower magnitude. The fact that excess is dangerous doesn’t really say anything about normal experiences. For what it’s worth, I’m also someone for whom pregnancy is challenging. I’m “subfertile” (probably clinically infertile, but since I had a non-IVF, non-IUI baby, it’s hard to claim that label as my own), and pregnancy took me more than a year to achieve, and I’ve miscarried. (Sorry about your recent loss, Heather. It’s heart-breaking, I know.) It’s not that I’m blase about pregnancy and risk, but there has never actually been any documented risk associated with someone having a drink a month or a drink a week or even a drink per day. The fact that no one can tell you whether your baby would be affected by 10 drinks per week, or whether you’d only cause harm if you consumed 25 per week, doesn’t really mean people should be implying women who drink a glass of wine (or 20) over 40 weeks of pregnancy are careless, selfish, or otherwise contemptible. I completely agree with you KD. I think one of the issues that the medical community deals with is the lack of moderation in North America. For example, a “glass” of wine is 4-5 oz. However, many people consider a glass of wine as filling up the wine glass to within an inch of the brim. Depending on the size of your glass and the percent/alcohol of the wine, that can be closer to 2-4 drinks. Also, people typically under-report alcohol consumption for a variety of reasons. Given this, it’s my belief that doctors have stuck to the “don’t drink at all” since we struggle in a super-size it society with moderation. I drank with moderation (an occasional glass every other week) during all of my pregnancies. All my children are fine. I also live in Canada which seems to have a bit less outright judgement of others, or we hide it better. As my husband says, do you think all pregnant Japanese women give up sushi? As someone mentioned earlier, outright bans are generally culturally based. The US is one of a small number of countries where pregnant women are told they must not ingest *any* alcohol while pregnant. Most countries around the world have a standard similar to what this study is stating – one glass of wine (or the equivalent) per day, no more. There isn’t any scientific evidence out there that indicates that FAS results from a low level of alcohol consumption. Riding in a car while pregnant is far more risky than the occasional drink during pregnancy, but we all take that risk on without even the smallest internal debate. Don’t really understand all the pearl clutching that is going on in the comments, it smacks of the kind of unnecesary judgement by moms of moms that I hate so much . Our mother’s and grandmother’s generation and every generation before that drank during pregnancy, and it’s the norm for most of the globe at this time. If your body is craving something while you’re pregnant so much that you cry, you might consider the idea that you should be listening to your body. Your body knows what it needs. The research actually shows light drinking having better outcomes than no drinking. American culture is just so messed up with respect to alcohol, it’s in the psyche that it’s transgressive and bad. Pregnant women like to take on not drinking like a hair shirt. It just feels like more Mommy Wars to me. I am totally with you! With my first pregnancy, I had serious cravings for beer. Any beer. Even beer that I would ordinarily consider crappy beer would have worked. We went to a wedding in Milwaukee and I was surrounded by beer – I’m pretty sure it flows like water there. Just not worth the risk, though. I’m not shocked to hear that a study came out okay-ing some alcohol consumption during pregnancy. It seems that we’ve been leaning that way for a few years now. But what stunned me was the “eight drinks a week” part. That’s more than one a day. I didn’t even drink much in college! My pregnancies were not high risk and I did drink teeny tiny amounts during each one. (I count “teeny tiny” as: None at all in the first trimester, single sips of my husband’s red wine maybe half a dozen times during the second trimester, and half a glass of wine twice during the third.) That said, I can completely see your point of not knowing how the alcohol will affect the baby and recognizing that no one ever regretted having a healthy baby. I barely drank to begin with, but I quit altogether when we were just trying to get pregnant, so there’s now way I would’ve risked drinking while pregnant. I also weaned myself off caffeine when trying to conceive and went cold turkey the day I got the positive pregnancy test. I was already considered high-risk due to my age, so I figured I’d do what I could to improve the odds. I completely agree with you that having a drink while pregnant shouldn’t even be on the priority list. If you need it that bad, you might need to reassess a thing or two. When I was pregant with my daughter, the only thing I craved my whole entire pregnancy was beer. Pre-pregnancy, I NEVER drank. Post pregnancy, I still almost never have a drink. I was so afraid of what “might” happen if I actually had a beer while I was carrying her that I would have my husband order one, and I would either just smell it, or take a small sip into my mouth just to get the taste, and then spit it out. I was extreme, I know, to be that paranoid about it, but if my little girl would have been born with any complications at all, I would have blamed myself for the rest of my life. It’s completely not worth the risk. I’m in the same camp as you. I didn’t even touch caffeine when I was pregnant! However, I will say that it makes me freak out a little less about those first days or weeks when you don’t yet know you’re pregnant and you may have had a drink or two. Only a little though. I totally respect you and everyone else’s decision to not drink during pregnancy. That being said, as unpopular as it may be (and I can see from the comments that I will probably be judged from this) I don’t think an occasional glass of wine during pregnancy, after the first trimester, is as horrible as some are making it out to be. FAS is completely preventable, but it is NOT caused from someone drinking a glass of wine every other week, or even weekly. I’m talking about the 4 ounces of wine that is considered a glass, that um, I don’t always adhere to while not pregnant! I can understand the judgement for people getting black out drunk and binge drinking while pregnant, but an occasional glass of wine IS safe. That is more than what is currently recommended in the Dietary Guidelines for Americans on the CDC’s website (http://www.cdc.gov/alcohol/faqs.htm); which recommends that women drink no more than one drink per day. FAS is not caused by a single glass of wine in 9 months. It’s not even caused by TWO glasses of wine over 9 months. People who think that it is have a fundamental misunderstanding of biology. FAS is the result of prolonged exposure to alcohol over a long periods of time. So says science. When women with difficult pregnancies choose to abstain from alcohol entirely, I respect that. But the judgement against others who know there is no risk? Revolting. Everyone makes their own choices, allow everyone to make their own choices without the vitriol. I don’t think it’s worth the risk either. However, perhaps a small consolation that can come out that story is for women who learn they are several weeks along and then spend their entire pregnancy fraught with worry about the few drinks they had before they found out. Stress is also a huge detriment to a fetus, and letting women know that a small consumption of alcohol wasn’t the enormous mistake once thought to be could possibly help relieve that risk. I think everyone gets to do things within their own comfort levels. I don’t think there are many women who are having otherwise responsible pregnancies who would just binge. A glass here and there isn’t going to cause FAS. My first pregnancy ended in miscarriage and it was devastating. My personality is such that I felt that I couldn’t be too careful going forward. When we were trying, I didn’t drink after ovulation until I knew whether I was pregnant. And once I was, I was going to follow all the rules. I held my breath most of my pregnancy, waiting for something bad to happen – I was more traumatized by the miscarriage than I thought. No deli meat, no upasturized cheese (I wouldn’t eat blue cheese at restraunts unless they could tell me, in no uncertain terms that it was pasturized! ), no baths (I didn’t want to keep the temp low!) … etc, etc. I missed wine, and I glared at my husband who would order blue cheese burgers and beer samplers. But these were my choices, and my way of feeling a bit of control over a situation where I felt I had such little control. It was something I could DO. I did have a sip of wine toward the end of my pregnancy, but that was really it. Since my baby was born, I’ve met a group of other new moms, and we were chatting about drinking while pregnant, and I was the odd man out. No one else drank as little as me! We ALL have healthy babies, whether we abstained, drank occasionally, or had one or two a week. My personal approach was that I was going to follow all the guidelines. I felt that I was taking risks otherwise, and I didn’t want to do anything ‘wrong’. I don’t judge women who interpret the guidelines differently than me any more than I judge how they parent (come on, we all do it a little, right?!?). I don’t think that women who have a few drinks are doing something they feel is risky. But the bottom line is – we are repsonible for our babies, and we will all do our part to make sure they are healthy. From your vantage point, I completely understand. When I miscarried last year, I obsessed about whether it was something I’d eaten, or a bike ride I’d taken, or whether I’d overheated at the gym. Or whether I was “stressed” and somehow unaware of it. Truth is, I’ll likely never know. Gradually, with this pregnancy, some of that fear has faded. With the drinking thing, now that I am in my third trimester and very close to full term, I will have a sip of husband’s beet. I mean, this is probably teaspoon-sized. But what sometimes gets me about the judgement against women who drink while pregnant is that it is sometimes paired with blanket acceptance of other “vices” I deem even scarier. Like popping over the counter pills for every ache and pain, eating fast food on a daily basis, drowning in Diet Coke. Taking Ambien before a flight, eating lots of junk filled with dyes and preservatives, or scrubbing the sink with Comet and bleach. At least wine is made from grapes, not chemicals in a lab, and has been consumed for thousands upon thousands of years. Nope! I think most of the responses here are on the verge of batshit and often hyper-judgemental! 8 drinks in one night – bad. 8 drinks in a week – pushing it, clearly. But to say that any drinking, at all, is irresponsible and an unfathomable risk to your baby… Dude. Put down the blanket statements, back away, and re-evaluate your critical thinking skills. Sorry, Heather, I love your site but I disagree! Pregnant ladies are still people, not sterile incubators, and the stress relief of half a beer while watching football on Sunday was a great way for me to make it through my 3rd trimester. It’s probably more dangerous to get in your car than it is to have half a beer. But I’m guessing no one gives that up. Well, that’s because often getting into a car is a necessary risk – people need to use them to get from A to B. Is it, though? Grocery stores deliver. Presumably you have a significant other to run any errands you may have for you and friends or family who are happy to help out. Maybe you even have the option of taking a bus or train to work. It’s not NECESSARY risk, it’s a calculated risk. My doctors aren’t located in my town, and they don’t make house calls, so it is a necessary risk for me to get in a car to see them. Has no pregnant woman even said, “I have to get out of this house!” or “I need a manicure/pedicure/hair cut/massage” or “I want to see my friends”? They’re all choosing to do unnecessary driving (or riding), but I don’t ever see anyone judging them for getting out and about. Riding in a car is an acceptable risk. Similarly, since there has never actually been any risk demonstrated, never any negative consequence associated with someone drinking a glass of wine per week while pregnant, I don’t think there’s room to immediately judge any pregnant woman sipping a beer/wine/whatever. If I ever reach another 2nd trimester, I won’t appreciate the implication that I’m horribly selfish to share a nice dinner and a glass of wine with my husband occasionally. There’s a lot to be said for feeling “normal”, for maintaining “date night”, for continuing to take an interest in my spouse’s beer-making and wine-making. You don’t have to have any–and you’re welcome to drive or to fly to see as many friends who give you comfort and support and reassurance in your next pregnancy–and you’re welcome to drive or to fly to see your friends to *offer* comfort and support and reassurance, even if they need it while you’re pregnant. Relationships are important. You (and I) are right to value and to maintain them. Riding in a car is a negligible risk. So is drinking a glass of wine, no matter how much it’s out of vogue to acknowledge it in the US in this decade. For the record, the above comment was mine, and I am not the Karen who wrote the topmost comment in this thread. I think it’s probably perfectly safe to drink very moderately during pregnancy. In fact, I KNOW it is, but I’m still very cautious because I’m hyper paranoid. But I wouldn’t judge a woman who does drink (again, very) moderately during pregnancy. While I was pregnant with my daughter, I had about a half a glass of wine once as well as a few sips of my husband’s drinks here and there. I usually felt really guilty even about those sips and the guilt is what’s not worth it to me, not the risk because I don’t really think there is any risk when you’re talking about a sip or even half a glass of wine. I agree with another commenter that I think there are a lot more dangerous/potentially risky things that we probably all do during pregnancy and don’t even bat an eye about. I’ve known several women who can’t give up their Diet Coke everyday during pregnancy, but still get judgy about another woman having a few sips of alcohol here and there. To me, the Diet Coke everyday (hello aspartame and caffeine!) is way worse that the occasional drink of alcohol. I don’t know. It’s definitely interesting to read everyone’s comments…. I totally agree with the Diet Coke issue. That stuff is practially poison (in my opinion) but I’ve never heard of a doctor telling a pregnant woman specifically to avoid it. Really?! Man, you should talk to my doctors. I’ve had like, what? A million of them? And they were all like, NO DIET DRINKS NO NO NO. That’s a good thing! You (obviously) have great doctors. I’ve definitely heard doctor’s tell people not to drink diet soda, but not as a pregnancy-specific thing, if that makes sense. Good doctors! Maybe because you had a high risk pregnancy they were more cautious. My doctor never said anything specific about diet drinks and it wasn’t on the list of “no-nos”. I’m not even sure if caffeine was–I’ve read mixed reports on that but most articles suggest that moderate caffeine consumption is fine during pregnancy. I wouldn’t even drink communion wine when I was pregnant. I went from drinking 2-3 cans of soda a day to maybe a half can a week. And zero coffee and hardly any sugary/salt snacks. Fresh fruits/veggies and healthy foods was all I would eat. Overboard, probably……..but to each his own. I too, stopped wine, caffeine and salt (cold turkey) while pregnant. Looking back, I think it was much more difficult on my husband than on me. HA!! HA!! As many here have stated, I don’t believe it’s worth the risk. Not judging others, just stating what worked for me. When I am pregnant I crave sushi and margaritas SO bad that I can’t stand it. I try to have virgin margis and cooked sushi and my babies are like, “Nice try, Mom. Give us the good stuff!!”. Sorry pregnancy cravings, but no. Here’s why: I know studies come out constantly saying something is safe only for a later study to show it isn’t and vice versa. Yes, one margarita over 9 months probably wouldn’t harm my babe. But I know myself- if, god forbid, my baby was unhealthy for any reason, even if the doctor told me I did everything right, I would blame myself if I had given in and had that delicious margarita (with salt) or two. I wanted to know that I did everything within my power to give my boys the very best prenatal care and best start possible, because as we all know, there is so much that we CAN’T control and even under the best circumstances things can go wrong. So why give yourself something to beat yourself up over later or something to worry about for the rest of your pregnancy, crossing your fingers that it didn’t do anything to your baby?? I guess for me, it was a control freak thing. I was the only one in charge of what went in my body so I was going to err on the side of caution. That being said, here’s a funny story for you: when I was 30 weeks or so with my first, I started having mild contractions. My doctor examined me and told me it was ok, and gave me orders to take it easy for a few days. She then said that she wanted me to go home that day, put my feet up and have half a glass of red wine. I was like WHAT the WHAT??? And I told her I didn’t think I could. She said that women in Europe had very small amounts of wine throughout their pregnancies and were fine and that she thought the alcohol might relax my body enough to stop the contractions. After discussing it with hubby, I followed doctor’s orders and had a tiny bit that night. The contractions were gone by the morning and my son stayed put for another 10 weeks with no further scares. Do I think that was due to the tiny bit of red wine? Doubtful. But I do think it was interesting that a doctor would suggest it!! My comment isn’t making much sense- but what I mean is that obviously a little alcohol is not the end of the world for most pregnancies. It just doesn’t seem worth the risk of not knowing if you fall into the “most” category. Also, 8 drinks a week is nuts. Plus, you know how people are. If they think 8 a week is safe, will they think that means 6 in one night and 2 drinks a few days later? And how big of a drink are we talking? Hard alcohol or beer or wine? If there is any grey area, it could be misunderstood or even purposefully misconstrued to justify the safeness of poor choices, and babies could be hurt in the process. Of course women will always have the ability and right to decide what goes into their bodies during pregnancy, but I worry when a study like this comes out. Even if “they” say that up to 8 drinks a week is safe, if “they ” are wrong, they aren’t the ones that will have to watch my baby suffer. So thanks for the info, latest study, but no booze for this knocked up mama! Well, unless the doctor says I have to again! In 1970 when my mother-in-law went into pre-term labor very early, the doctor told her to have one shot every day to keep her relaxed and stop the contractions. She did and kept my husband in until she reached 32 weeks. Back then, it was what they had, so your doctor wasn’t coming completely out of left field. He’s fine, for what it’s worth. First in his family to go to college and ended up with a Ph.D. in engineering. The type of alcohol shouldn’t matter, by the way, if you’re serving correctly. I was lucky to have an inbuilt reaction to even the smell of booze when I was preggo. Even when Mr Woog had a glass of wine, it made me want to vomit. If you’ve decided that, as far as alcohol goes, you’d rather just skip out on it entirely if there’s even an iota of risk – more power to you. Just … if you can, be gentle with your language with regards the people that decided the risk was acceptable to them. If you can stand behind them as they stand behind you, then all’s well. A+. Rock on. I am actually with you – I plan on letting no alcohol pass my lips – but the fact is that there are other things that probably impart as much (or more) risk that both of us do and will keep doing. You can try to be “good” but “good” changes as we learn, and there are dangers everywhere. So far a beer or a glass of wine is turning out to be not so bad. Ditto for the occasional sip of caffeinated beverage. Unnecessary trips via car are probably the worst things you can do, statistically. Just be kind, that’s all I ask. People (especially pregnant ladies) are made to feel guilty constantly, and I don’t want to include this post in that, but I think if I had broken down and decided a cup of coffee was alright, or a glass of wine one night… I would feel bad, reading this, even though I understand you’re just trying to explain your own line of thinking. I couldn’t agree more. My sister is an RN in the neonatal unit of a hospital here in Sacramento. A good deal of the babies under her care are either alcohol- or drug-dependent and are undergoing withdrawal. That’s just sad. The really sad thing? These babies are released to go home to their unfit parents. That being said, my sister (same one) made some awesome pina coladas to go with our dinner the other night. I had never had one and don’t drink for medical reasons, but I did have a sip or two of my daughter’s. Soooo good! I’d rather tell an expectant mother to have a drink or two here and there than to find the right anti-depressant/anti-anxiety medication. I don’t think it’s ever a good idea to encourage medicating with alcohol. Um, yeah, what Heather said. Also, taking medications that are prescribed for medical conditions are not the same thing as having a drink for fun. Sure, there are risks to taking many (most, all??) medications during pregnancy, but one wouldn’t suggest that a diabetic cut back on insulin, or that someone with hypertension shouldn’t be treated, so why are anxiety and depression different? They are diseases just the same. this article was all over my google reader this week and it literally made smoke come out of my ears and breathe fire. Crazy You know how many uneducated people will hear that and think “Woot! Okay! Hitting the bars Thurs, Fri and Sat now! I CAN drink while pregnant! I heard it on the news!” A lot of people dont understand moderation. Okay, so i can SEE maybe a glass of wine at the end in the third trimester, i know many doctors do suggest that to help the mom relax. I see that. Worth it to me? no. Judge others who do it? no. Their choice. But 8 glasses a WEEK for 38 weeks? What the ? Who authored this study, budweiser and sutter home? I mean seriously. I have to respectfully disagree that its okay… PARTICULARLY (italics would have been nice there but i used caps instead) during the first 14 weeks. I am so glad you brought this up. I’ve been feeling very heated over it. and to the previous posters who are saying “diet coke is just as bad” and so is hfcs and etc.. Yup, i agree those are bad too. Pregnant or not, really. In fact i consider diet coke to be worse for you than a glass of wine. This is all just my opinion. Not judging others for their choices, do what you feel is best, it’s your body and your baby. oh haha i didnt meant to reply to Rachel’s post specifically. But since thats where mine appeared i’ll just add on to the fact that YEAH, um, medications for other medical conditions wouldnt be stopped, why should people be asked to consider stopping anti anxiety / anti depressants? potential risk to the baby could be far worse if the mother did stop the medications. Dude, I am so with you. I love my booze, but I cut it out before I got knocked up and abstained for the duration. I am absolutely the type to beat myself up over any real or perceived connection. I ate a super-healthy diet too, seriously the whole time. And my daughter was still Queen Colic with reflux. And you know what? I was relieved to know that I didn’t cause it. If I’d been having sips here or there or eating crap, I would have blamed myself so much. It was still hard to deal with, but at least I knew I’d done everything I could have and sometimes tough things happen anyway. I think it’s all a risks game. I mean, everyone has to do what’s comfortable for them, but the biggest risk for pregnant women is being in a car accident, but preggos don’t start walking everywhere. I think for me, having a mom who did everything right and ended up with a child with a disability (my younger sister) was a lesson that you do what you can. I ate sushi, drank caffeine, took hot baths and had a single cocktail during my pregnancy (at 38 weeks.) I also drove in the car, a lot. And my daughter is perfect. But that was my personal comfort level. I would never tell a woman she HAS to eat deli meat during her pregnancy because I did and my daughter’s fine. I wouldn’t risk it either. I have enough guilt over the doctor prescribed drugs for hyperemesis that I needed to take to survive, or for my baby to survive, and then he was born early, with a rare disease, yeah I don’t need anything else to add to the nightmares that are my pregnancies. Putting it out there that it’s okay is just such a bad place to go. Even if it is? Don’t advertise it. A woman and her doctor could discuss it – she shouldn’t be discovering ohhh okie, lil drinkie while waiting on baby no biggie, on her own. Having a few drinks while pregnant is not a new thing. That is a new study, but it’s been researched before. I certainly remember seeing a lot of writing about ‘well two or three units a week seems a safe drinking level for the pregnants’. That information has been around here for a long time and I can assure you that Europe does not have an increased population of FAS babies, nor are they overrun by uncontrollable pregnants who can’t just have one drink but unbalanced by the medical okay plow down people in their rush to get to the nearest bar. I don’t drink much, because I get drunk very easily – but I have to say that I read the literature and decided that continuing to share a glass of wine with my husband every now and then was going to be an acceptable thing to do in pregnancy. So I did it, both kids came out fine. I’ll give you another example. A lot of ladies here have never had a drink while pregnant, because the risk is not worth it. That’s fine. However probably a number of them ate tuna while they were pregnant. But mercury poisoning is also a thing, and a very very very serious one indeed. It has profound and disabling effects on children, particularly on the fetus etc. (Minamata disease, and a couple of studies linking it to autism) Technically it’s still a risk, you’re ingesting things that cross the placenta (and that unlike alcohol cannot be metabolised by your body) although you would need to consume significant amounts of it to cause disablities, so eating tuna once a week should be okay. My point being twofold: even though we cannot say with 100% certainty how anything affects a fetus almost everyone takes some kind of risk during pregnancy because they judge it to be an acceptable risk – whether it is eating tuna, or having amnio, or going on airplanes or taking antidepressants or having epidurals; and by focusing on things like alcohol we might not be vigilant enough to other stuff that can be harmful, such as compounds in the food we eat. I agree. Everyone makes choices about risks they are willing to take, both while pregnant and while raising their children. What is comfortable for one parent may not be for another. I had a few 1/2 glasses of wine while pregnant (and had no trouble stopping there) but wouldn’t touch hot dogs or deli meat. For me, that made sense. Obviously the opposite could be true for someone else, and my guess is we’re both equally loving and concerned parents who are trying to raise healthy and happy children (and odds are we’re both succeeding just fine). I do not drink when pregnant, but having the occasional drink when pregnant DOES NOT cause FAS. It is caused by drinking large quantities of alcohol throughout the pregnancy. I have 4 adopted siblings, who were all born to alcoholic mothers, who drank during pregnancies. Only one of the children has FAS and the comment in doctors notes from her birth was that “the baby was swimming in alcohol”. I am with you Heather. No risks for me during pregnancy – there is so much about pregnancy, birth and our children that is uncontrolable. I try to control whatever I can. . .
That response Heather is the perfect one! As a drug & alcohol counselor I have read these studies and in discussion with professors have said those exact words… all bodies are different, your baby is different than someone else’s… your reaction is different.. to risk all that for a couple drinks… completely not worth it! As someone who has seen the difficulties FAS/FASD can cause.. THANK YOU. It breaks my heart to see some of the kids I know struggling, only to know that their FAS is preventable. I am currently raising a child whose mother drank while pregnant. Trust me, there is no safe amount of alcohol to consume while pregnant. My son is paying for his bio-mother;s choice and wiull for the rest of his life. His conditions are 00% preventable! Thank you for this message to moms. I appreciate you comments more than you can know. I am currently raising a child whose mother drank while pregnant. Trust me, there is no safe amount of alcohol to consume while pregnant. My son is paying for his bio-mother’s choice and will for the rest of his life. His conditions are 100% preventable! I’m assuming your son’s bio mother drank heavily- and that’s terrible, of course. I’m assuming she didn’t have the odd glass? Correct me if I’m wrong. Respectfully, what therefore qualifies you to decree that there is no safe amount? And while it’s great to hear from health professionals here who can testify to the damaging effects of FAS, I wonder if any of them have worked with a child who has it as a result of the mother drinking 1-2 units once or twice a week, as is recommended as a safe limit here in the uk. As far as I’m aware, there is zero evidence to suggest that one drink could do harm. Why is a half-glass of wine, consumed one time during pregnancy, considered a taboo while an epidural is considered a mainstay? An epidural, unlike a single half-glass of wine, is a narcotic, and I don’t think anyone would dispute the fact that narcotics are bad for babies. And yet . . . . Isn’t America weird? The point of the study was to establish there ISN’T a risk at low amounts- a glass of wine per week will not harm a fetus, period. Now, for people who are likely to have one drink lead to another, that’s a different story. Sushi has also been shown to be safe in the US while pregnant, provided you take precautions (reputable restaurant, fresh fish) because all sushi in the US is flash frozen to kill parasites. A study found as long as you’re not consuming fish high in mercury, it’s safe as well. Ditto US soft cheeses- they are pasteurized so no need to avoid those either. My 1st was born at 32w, then miscarried a twin my next pg (and had horrific HG requiring multiple hospitalization), and was at risk of losing my 3rd pregnancy (low progesterone and bleeding), but I knew none of these situations could/would be affected by a few sips of wine or a plate of sushi. It wasn’t a calculated risk, there was simply NO risk. OTOH, I strongly suspect my middle child’s sensory issues are due to all the anti-emetic drugs I had to take just to stay out of the hospital. I do find the judging of pregnant women abhorrent.. you’re supposed to exercise, but it’s definitely not ok run a 5k or more. You’re supposed to eat healthy, but heaven forbid you’re vegetarian (or worse, vegan). We ought to trust that mothers are doing the best for themselves and their babies, even when they may not be making the same choices we’d make. It is also completely possible that if I stab myself in the stomach that I might not harm my baby. Why would you want to take that risk? Live with a child with FAS, even one with limited exposure to alcohol in-utero, and you would NEVER take that risk. You know what I find abhorrent? That one in one hundred births in the US involve FAS. It is the most prevalent birth defect and the only 100% preventable one. Why do you think it is growing so quickly? It is because of attitudes like this. You think that 1 in 100 mothers drank like a fish while pregnant, I don’t think so. Actually, as far as I can tell by looking at the trends for the FAS statistics in the USA, it is 2 to 3 children per 1000 live births (which seems to be similar for Europe). If there are studies showing that the rate of FAS has risen within a few years from 3 per 1000 to 1 in 100, then that is worrying indeed and I’d be very interested to see it. Doing FAS prevention seems like a really good thing to do. However, as someone who has worked in the field of addictions and who is a practising therapist I’ve learned that the only way to get things done is to be pragmatic about them. Talking about how not a drop of alcohol will pass your lips while you gestate may make you feel good, may be something a lot of people will agree with but it is not going to have any impact at all on the people whose lives are so chaotic , disrupted and under-resourced that they are drinking heavily while pregnant. Awareness and change begins with transparency. As emotional as this subject is for many people (and with good reason) it is generally most helpful to try to lay emotion aside and actually look at trends and numbers and what they tell us because it reveals patterns and once you see patterns you can go about changing them. People don’t respond well to being demonised and shamed though. Talking about the evils and dangers of alcohol will not have an impact on the people who will be most vulnerable to it. If they’re drinking anyway it means that something bigger than just lack of information is going on, something that needs to be addressed with compassion and social care if it’s about public health and not righteousness. Yes I absolutely, 100% believe that all mothers of children with FAS drank heavily. If there was ANY evidence that an occasional drink caused FAS, of course we would have heard about it. Unless you can point me in the direction of the evidence to the contrary? To suggest it’s the same as stabbing yourself in the stomach is nothing short of hysterical! I agree with Lisa that for me, half a beer or two inches of wine isn’t a ‘calculated risk’- it’s no risk. Or please tell me, what risk does it represent? What would that single drink actually do? Would welcome a look at the evidence. I don’t think anyone’s denying that FAS is a) a problem b) an increasing problem c) a terrible thing. I don’t think anyone’s condoning heavy drinking or denying the link between FAS and drinking. I am pregnant and have one drink a week (a glass of beer or a small glass of wine- less then 2 units). I like the taste of wine and beer. I like the feeling of doing something ‘grown up’. This one drink does NOT make me drunk, and, again, please show me a single study or any evidence that links drinking at this level to FAS. This is not about me weighing up a risk and deciding that the risk is outweighed by my needs/desires. This is about weighing up a POTENTIAL risk and deciding that there is none. Heather’s post was relatively non-judgemental. But some of the comments here are outrageous in their judgement! Presumably none of the posters who make such judgements and have been/are pregnant are overweight (surely not?! ), drink caffeine (or eat chocolate which contains caffeine), wear cosmetics, take painkillers, use medical pain relief in labour, get stressed, or fly in aeroplanes- all of which have been linked by studies to damage to unborn babies. Those things may have been shown to “damage” unborn babies, but drinking alters brain composition. Drinking causes holes in the brain. When you drink in the development of your child damages what is developing at that time. While I agree it is your decision to drink a glass of alcohol a week while pregnant I think you are taking a risk nonetheless. I live it. I pray you don’t have to. I am 100% confident that I won’t have to live it. But thanks for the prayers.